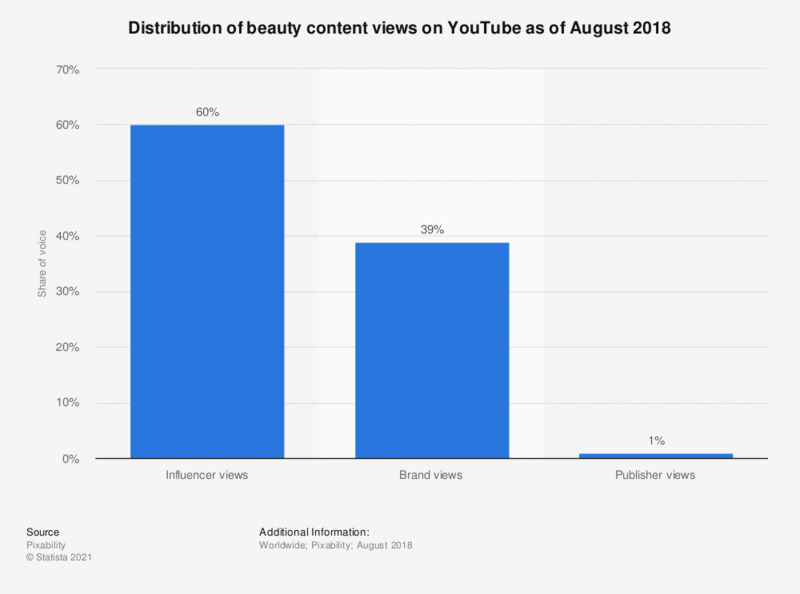 This statistic presents the distribution of beauty-content related views on YouTube in as of August 2018. During the measured period, it was found that 60 percent of beauty content views were generated by influencers. Brands accounted for 39 percent of beauty content views. Everything On "Cosmetics industry worldwide" in One Document: Edited and Divided into Handy Chapters. Including Detailed References. Women: How interested are you in the topics fashion, beauty and style?